The heart-wrenching final instalment of the Amish Homestead series, A Welcome at Our Door tells Cindy Riehl's story as she faces a life-changing choice. Love stories of love and life in Amish communities? In the final installment of Amy Clipston's Amish Homestead series, Cindy Riehl finds herself searching outside of her community for fulfillment and, with the help of a special friend, realizes what she was looking for was right in front of her all along. Over the last few years, Cindy Riehl—the youngest of the Riehl siblings—has watched her brothers and sister find love and happiness in Lancaster County. But as her family has settled down and grown, Cindy has continued to grieve her mother, whose death left an enormous hole in her heart. Since that haunting day, Cindy has struggled to find peace and wonders if the community is the place for her—and if her faith in God will ever be like it once was. When one of the Riehl cows escapes to visit another cow down the lane, Cindy chases after it and meets a handsome Englisher named Drew. As they become friends and eventually much more, she is drawn further and further away from the Amish community and the family she loves. She is suddenly faced with difficult choices that threaten to upend her world. Will Cindy find happiness of her own? And will she ever be able to overcome her grief and find restored comfort in God and her community? 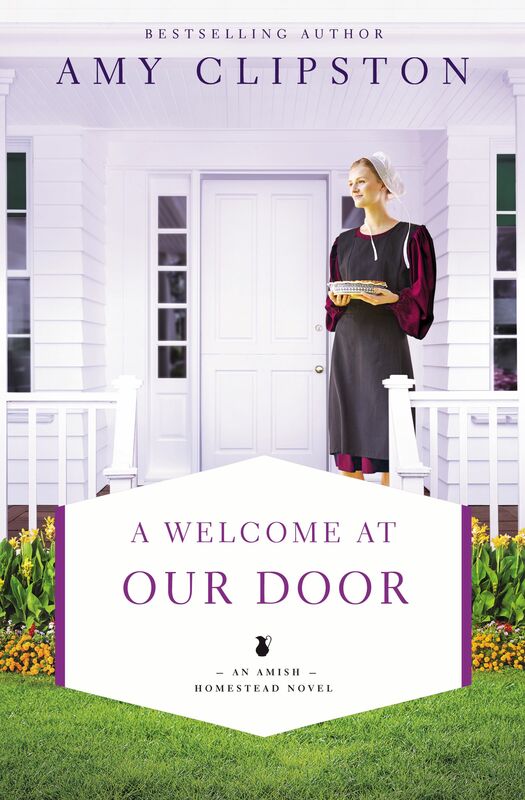 A Welcome at Our Door by Amy Clipston was published by Zondervan in May 2019 and is our 48206th best seller. The ISBN for A Welcome at Our Door is 9780310349129. Be the first to review A Welcome at Our Door! Got a question? No problem! Just click here to ask us about A Welcome at Our Door.